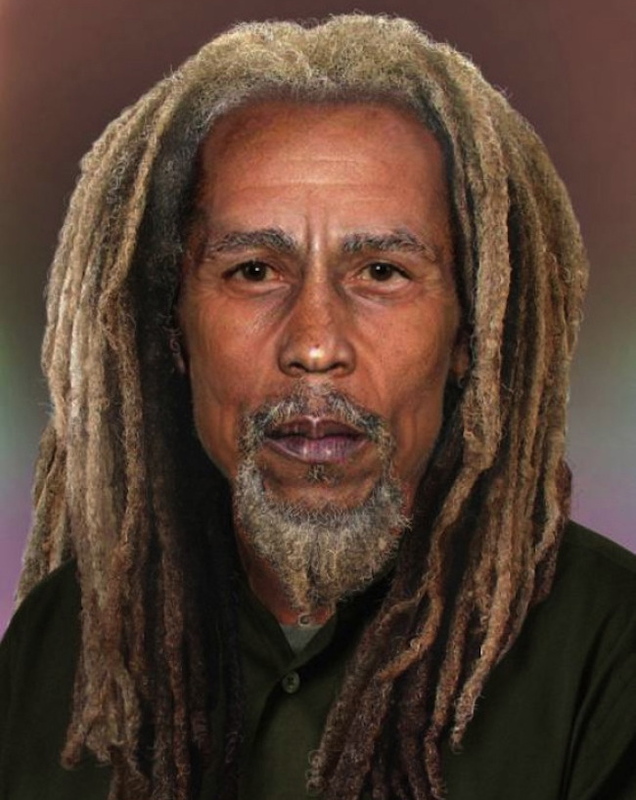 Had he survived the cancer that killed him in 1981, Bob Marley would’ve been 70 today. Perhaps he would’ve looked something like this computer-generated image. Perhaps he would still be on the road and recording albums with some frequency, in the way, say Bob Dylan does. Or maybe he would enjoy staying at home with his many children and grandchildren in Nine Mile, the place he was born and buried. Whatever he’d be doing, it’s certain that we’re still singing his songs, the lion’s share of which concern revolution, no more war, and universal love; sadly, they are as relevant as they were in the days he wrote them. If you are unable to give, the best thing you can do today to remember Bob Marley is to keep it positive. In that spirit, I can’t resist this crazy rare clip of him lip synching with the I Threes (“Roots, Rock, Reggae,” “One Love” and “Positive Vibration”). It’s followed by the classic Wailers appearance on the Old Grey Whistle Test in 1973 performing the more downbeat, “Concrete Jungle.” Happy Bob Marley Day to everyone.